Catering to the requirements of our clients, we are involved in offering Radial Shaft Seal. With the accumulated know-how of 150 yrs of seal development, we are able to develop all seals and materials in house. Seals and materials are designed for various applications in our R&D where we spend almost 180 M US$ every year within the Freudenberg and NOK Group. This gives us the power to stay much ahead of our competitors, and update our products with Frontier Technological Research. Arun Automobile can offer the widest range of seals in industry. - 02mm 'O' Ring to 7000 mm Wiper. - Oil Seals to Gaskets. 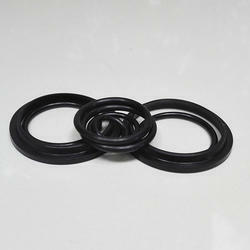 - NBR to Perfluoro-Rubber can solve nearly all sealing Problems. Sigma Freudenberg NOK Pvt. Ltd. can offer the widest range of seals in industry. ESP International is your source for cost effective, high quality radial shaft seals. With our own line of radial shaft seals, we can provide solutions for all of your sealing needs. Need a custom profile ESP Engineering can design a seal specific to your applications.